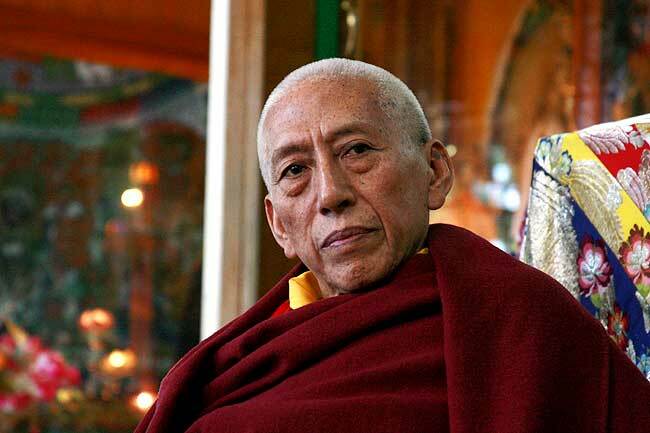 (TibetanReview.net, Dec16, 2017) – President Lobsang Sangay of the Central Administration has on Dec 14 affirmed that his predecessor, Prof Samdhong Rinpoche, had visited China recently but called it private and too early to be indicative of anything significant. “Don’t read too much into it. At most it’s a private visit and it’s too early to say anything,” tribuneindia.com Dec 15 quoted him as saying. Sangay’s remark was reported to have come in response to a question asked by India’s former Foreign Secretary Mr Kanwal Sibal on the sidelines of the Third ML Sondhi Memorial Lecture held in New Delhi’s India International Centre. Sangay delivered the lecture, which was titled as ‘Tibet holds the key to Beijing’. 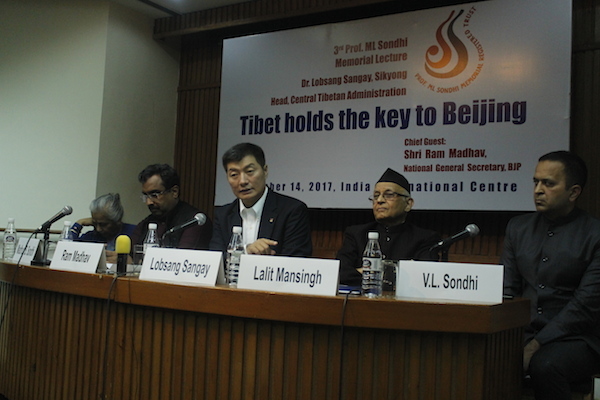 Sangay in his speech has called on India to treat Tibet as a “core issue”, expressing concern over Beijing’s growing influence in India’s immediate neighbourhood. The suggestion about Prof Samdong Rinpoche having visited China first came from P Stobdan, India’s former ambassador to Mongolia and a specialist in Chinese, Tibetan, Mongolian and Uighur affairs, in a thewire.in commentary Dec 4, saying that the Dalai Lama’s envoy appeared to have undertaken a discreet mid-November visit to Kunming (China). This is the first time the visit has been affirmed by anyone within the exile Tibetan establishment.